Transfers are often overlooked when analyzing a team's prospects for the upcoming season. Everyone notices the new freshman recruits, but some people forget about the transfers that had to sit out a season. However, transfers often have more of an immediate impact than freshmen as a result of the experience that they have. This season, there is an abundance of talented transfers ready to make people remember them. 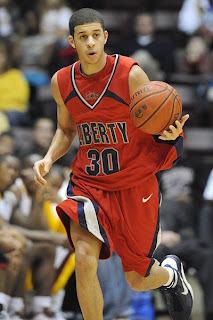 Seth Curry, Duke (from Liberty): Averaged 20.2 points at Liberty and will get a chance to make an immediate impact at Duke. Could be the sixth man behind Kyrie Irving and Nolan Smith. John Fields (from UNC-Wilmington) and Jeronne Maymon (from Marquette), Tennessee: The strength of the Volunteers could be the frontcourt this season, with Fields and Maymon two major reasons. Jio Fontan, USC (from Fordham): Fontan could be one of the best transfers in the Pac-10 when he becomes eligible in December. He is a very good scorer who consistently makes plays in the lane. Drew Gordon (UCLA) and Emmanuel Negedu (from Tennessee), New Mexico: Without Darington Hobson, New Mexico needs new scoring options. Both players will make immediate impacts up front. Greg Echenique, Creighton (from Rutgers): Was a double-double threat in the Big East, and should make even more of an impact in the Missouri Valley. Will combine with Kenny Lawson down low. Jeff Peterson, Arkansas (from Iowa): Courtney Fortson needs to be replaced for the Razorbacks, and Peterson will get the first chance. Look for him and Rotnei Clarke to form a solid scoring tandem. Eniel Polynice, Seton Hall (from Ole Miss): Polynice is a player who can contribute in a variety of areas, from scoring and shooting the ball to crashing the glass and even distributing effectively. James Rahon, San Diego State (from Santa Clara): San Diego State has one of the best frontcourts in the country, and Rahon will get a chance to provide balance from the perimeter. Gerald Robinson Jr., Georgia (from Tennessee State): Robinson is immediately going to be one of the main perimeter options for the Bulldogs. He averaged more than 16 points per game in the OVC. Chris Smith, Louisville (from Manhattan): With Roburt Sallie and Justin Coleman ineligible and Russ Smith injured, Smith will get a chance to play right away. He will need to come in and score. Quintrell Thomas, UNLV (from Kansas): The Runnin’ Rebels have plenty of options on the perimeter, but no one to bang down low in the post. Thomas, a native of New Jersey, will fill that void. Mike Moore, Hofstra (from Fordham): An underrated transfer, Moore averaged more than 12 points in the A-10. Combine his scoring prowess with Charles Jenkins, and the Pride will put up points. Nick Williams, Ole Miss (from Indiana): Chris Warren can handle the point guard responsibilities, but he needs someone to take the scoring load from him. Williams can definitely fill it up. Mike Holmes, Coastal Carolina (from South Carolina): There is a chance that Holmes will immediately be the best player in the Big South. He is an effective back-to-the-basket big man. Malik Cooke, South Carolina (from Nevada): The loss of Devan Downey leaves a huge void in the Gamecocks’ lineup. Cooke is a solid scorer and rebounder and he will play right away on the wing. Josh Parker, Dayton (from Drake): Chris Wright and Chris Johnson have the frontcourt under control, and Juwan Staten will run the show. That leaves a spot for Parker, a double-figure scorer, on the wing. J’Mison Morgan, Baylor (from UCLA): He was a major disappointment at UCLA, but he will have a chance to step in for Ekpe Udoh in the middle for the Bears. He will need to be an impact guy. Justin Knox, North Carolina (from Alabama): Knox won’t start with John Henson and Tyler Zeller in front of him, but he will be the only bench player in the frontcourt for the Tar Heels. Malcolm White, LSU (From Ole Miss): White moves from one SEC West school to another, and will probably have to start immediately. He is a solid scorer and rebounder and knows the SEC rigors. Paul Carter, Illinois-Chicago (from Minnesota): Carter is going to be a match-up problem in the Horizon, due to his size and skill set. He has been to two NCAA Tournaments and will make an impact. Allan Chaney, Virginia Tech (from Florida): Chaney has yet to be cleared to play due to a medical condition, but if he is able to play this season, look for him to contribute immediately next to Jeff Allen. Juan Pattillo, Western Kentucky (from Oklahoma): Pattillo had his moments with the Sooners, and he will be part of a dynamite frontcourt that includes Sergio Kerusch and Steffphon Pettigrew. Hank Thorns, TCU (from Virginia Tech): Might be the most anticipated transfer in the conference, and he will get a chance to start immediately. Thorns is very quick and can make an impact at both ends. Ron Anderson, South Florida (from Kansas State): Anderson showed flashes of his potential while at Kansas State, but he will need to become more consistent to start for South Florida. Charles Carmouche, Memphis (from New Orleans): He is certainly not the most talented member of the Tigers’ perimeter, but he is the only non-freshman, so he will have to be a leader in the backcourt. Bernard James, Florida State: James spent six years in the U.S. Air Force but could start from day one up front for the Seminoles. Jae Crowder, Marquette: With Lazar Hayward moving on, Crowder will step into the starting lineup for Buzz Williams. Ricardo Ratliffe, Missouri: Missouri is loaded on the perimeter, but they could use a legit frontcourt scorer. Ratliffe fits that. Eloy Vargas, Kentucky: If Enes Kanter isn’t cleared to play immediately, Vargas will have to play starter minutes. Marquise Carter, Gonzaga: The Bulldogs need to replace Matt Bouldin, and Carter was a prolific scorer in the JC ranks. Freddy Asprilla, Kansas State: The former FIU transfer could be an immediate impact player for the Wildcats. Marvell Waithe, Arkansas: Waithe brings good size to the small forward position, and he can stroke the three effectively. 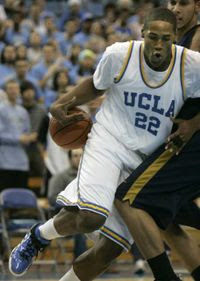 Lazeric Jones, UCLA: If Jerime Anderson continues his struggles at the point from last year, expect Jones to take over. Aziz N’Diaye, Washington: With Tyrone Breeshers not cleared to play, N’Ddiaye might need to play more minutes than expected. Tyree Graham, Rutgers: Graham could start immediately in a Scarlet Knights’ backcourt void of scoring punch. Faisal Aden, Washington State: Klay Thompson is going to need a sidekick on the perimeter, and Aden’s shooting stroke will help. Darrell Williams, Oklahoma State: Williams brings plenty of size and bulk to the Cowboys’ frontcourt.